2017 has been a memorable year for these sister cities, who have held the designation for the past 35 years. In order to strongly promote the unwavering support for startups that both Fukuoka city and Bordeaux city provide, they developed a Memorandum of Understanding (MoU) for startups this past May. The MoU was signed by four organizations including Fukuoka city, Bordeaux Metropole, Fukuoka Directive Council and Techno West. Startups from both cities will be able to enjoy many benefits of this MoU. Companies from Bordeaux will receive a wide range of support when they come to Fukuoka to start their companies. They can expect assistance with common challenges including help establishing a company, understanding residency requirements, and opening local accounts. Business owners will be introduced to the local organizations that will help them through these processes, and can also receive business matching assistance. Fukuoka businesses that are looking to expand their startups in Bordeaux will be given special assistance to make this goal a reality. This MoU allows businesses to reach their objectives and receive the help they need to succeed in both cities. It streamlines the process of identifying aid and making specific services available to startups so that they can focus on their individual business aspirations. There have already been exciting results from this MoU, including the World Drone Startup Meet Festival Fukuoka that was held on May 23, 2017. This event gave industry leaders and startups just breaking into the field a chance to meet and share their ideas about drones. Bordeaux is incredibly enthusiastic about drones and drone-related technology, so this event was a logical choice. Four of Bordeaux’s incredible drone startups came to exhibit their technology at World Drone Startup Meet Festival Fukuoka. In addition, Mr. Fracois Baffou of Techno West gave an informative talk about the support Bordeaux provides to startups in their community. The event even included an element of competition that allowed drone enthusiasts the chance to show off their skills. They competed to see who could submit the best video footage of Fukuoka taken using a drone and following specific parameters. Ms. Gosia Petaux of Techno West, the company that hosts Europe’s largest drone film festival each November called Cine Drone in Bordeaux, participated as a Fukuoka Drone Creative Award Judge for this exciting competition. Ultimately, the contest’s Category A - Fukuoka City Creative Award Winner was Kensuke Fukuyama. He won ¥100,000 for his stunning Nokonoshima through sky eye video. Nigel Paquin took home ¥30,000 for winning the Category B - Fukuoka City Creative Award, for his action-packed drone Hidden Paradise Fukuoka video. Stay tuned for more of the great results certain to come from the MoU between Fukuoka and Bordeaux in the near future. 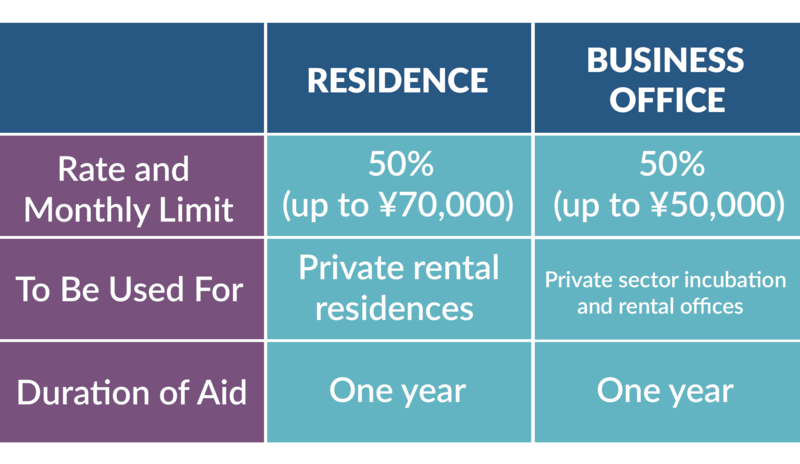 Did you know that Fukuoka City has a special subsidy program to assist foreign entrepreneurs with both housing and office rentals? If you meet the requirements, you may be eligible for a maximum of 50% off of your residential and office space rental costs for up to one year. Please visit the official subsidy website for more information and details on how to apply. Don’t hesitate - the deadline for applications is June 30th, 2017!